The Pahrump Valley High School girls basketball team has a knack for not looking past inferior teams. They might not always be sharp, but they always work hard. And if they work hard and are sharp, the scores can be pretty decisive. 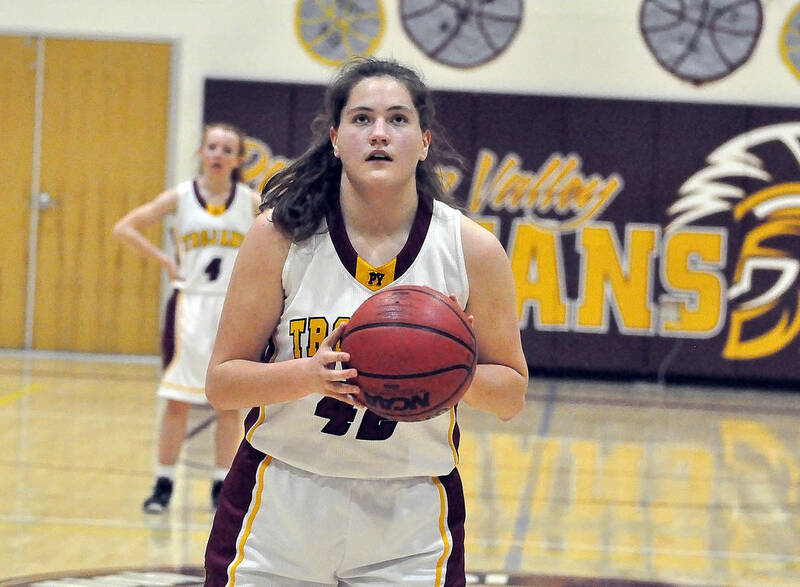 Horace Langford Jr./Pahrump Valley Times Sophomore Kate Daffer lines up a free throw Tuesday night during Pahrump Valley's 57-21 win over Del Sol. Daffer finished with a team-high 12 points. Horace Langford Jr./Pahrump Valley Times Pahrump Valley senior Brayden Severt goes up for 2 of his team-high 24 points Tuesday night against Del Sol in Pahrump. That was the case Tuesday night as Del Sol (8-12, 2-6 Class 3A Sunset) made the bus trip to Pahrump. With three players in double figures, the Trojans (18-11, 7-0) rolled to a 57-21 victory. Kate Daffer scored 12 points, and Tayla Wombaker added 10 points, 7 steals and 4 assists as the Trojans cruised to a 33-10 halftime lead. Jacquellen Stobbe supplied 11 points for Pahrump Valley. Paige Birch scored 7 points to lead Del Sol. While the Del Sol girls are having a rough year, the boys have been more competitive, sitting in the middle of the pack at 13-11, 4-4 Sunset. And the Dragons and Trojans played basically even for three quarters of the game, but the visitors bolted to an 11-4 lead that proved decisive and headed home with a 52-44 victory. Senior Brayden Severt erupted for 24 points for the Trojans, but nobody else totaled more than Chance Farnsworth’s 8. And the Trojans could not contain Brian Flores, who poured in a game-high 25 points for Del Sol. The loss kept the Trojans winless in the Sunset League at 0-7, 5-17 overall. 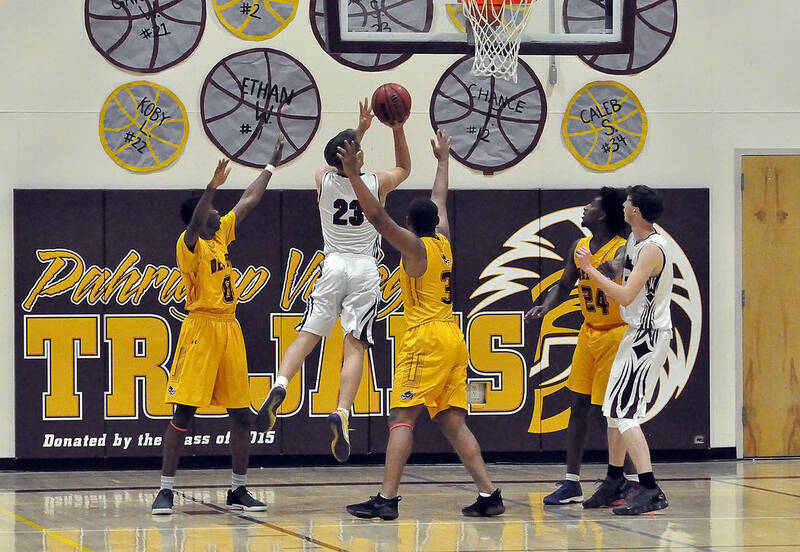 After Thursday night’s games against Democracy Prep, the Pahrump Valley basketball teams each will have two Sunset League contests left on the regular-season schedule, both next week. Western will come to Pahrump on Monday evening, while the Trojans will travel to Mojave on Wednesday. The boys lost handily to those teams the first time around, while the girls handled Western (46-21) more easily than Mojave (31-25). That was the only Sunset League loss for the Rattlers, who are 8-1 in league and can forge a tie for the league championship with a win over the Trojans.